With the premiere of Dave Filoni's Star Wars Resistance set for this fall sometime, there's still quite a bit we don't know about the anime inspired show. We've gathered up all the important information that has leaked or been released to this point. 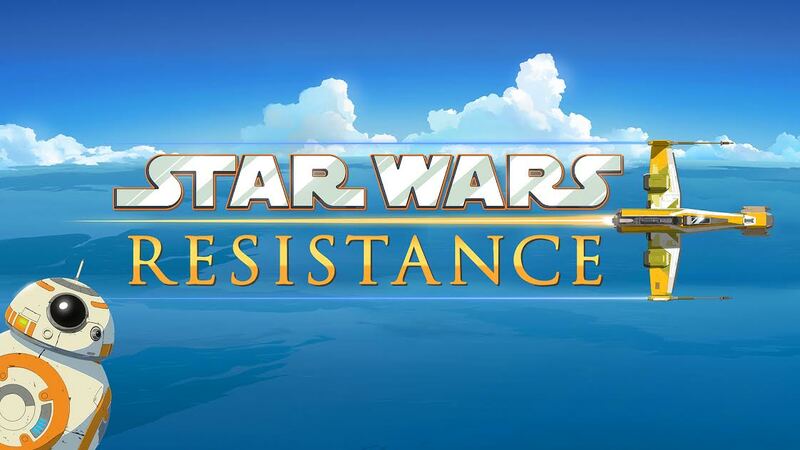 "Star Wars Resistance," an exciting new animated adventure series about Kazuda Xiono, a young pilot recruited by the Resistance and tasked with a top-secret mission to spy on the growing threat of the First Order. At the same time we were given the cast names of the major players which included Gwendoline Christie (Captain Phasma) and Oscar Isaac (Poe Dameron) and there have been some more recent reports that Adam Driver will voice Kylo Ren from time to time. Can't stress enough that this last bit of news is strictly a rumor at this point and hasn't been confirmed by anyone. As for the rest of the cast we've got Josh Brener, Rachel Butera, Donald Faison, Scott Lawrence, Suzie McGrath, Bobby Moynihan, Jim Rash, Christopher Sean and Myrna Velasco. So far we have no details on the characters they'll be playing save to the two mentioned below. Behind the camera we of course have Dave Filoni executive producing, writing and directing the series and he will be joined by Art Director Amy Beth Christenson. The music will be provided by newcomer Dylan McGill and the sound department heads are David Acord and Mathew Wood. McGill is the newcomer of the group with the rest having worked on Star Wars projects in the past. 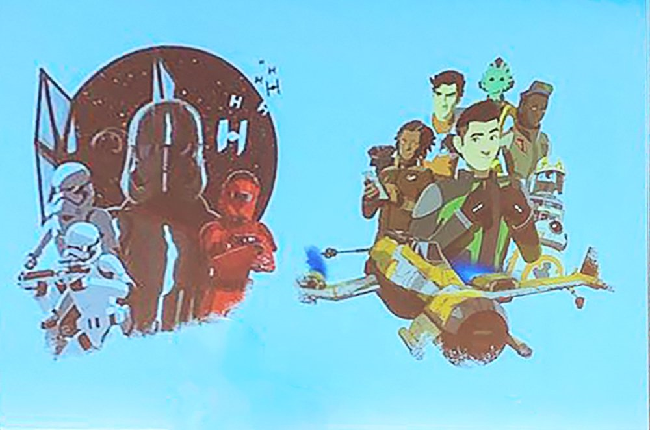 "Star Wars Resistance, Lucasfilm's new animated series will be broadcasted in October on DisneyXD (France). The series has a big focus on humor and action, and BB-8 is heavily featured". So, with BB-8 usually comes Poe Dameron so does that mean the show will "heavily feature" Oscar Isaac as well? Probably not as he's very busy with films these days. BB-8, while he is Poe's companion droid, often goes off with other Resistance members on adventures so expect nothing less this time around. Also, with the show potentially premiering in October overseas, look for the North American premiere sometime around then. 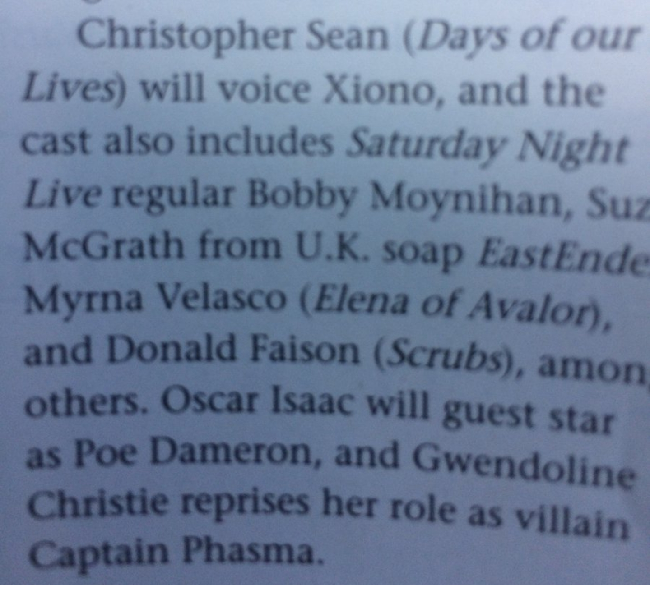 So there you have it, confirmation that Sean will indeed be voicing the lead character. If you don't watch "Days of Our Lives" you can watch interviews with Sean on YouTube to get an idea of what Xiono may sound like. "Bobby Moynihan and I are basically two guys who basically run the equipment check out area. Sort of like an Oscar and Felix, it’s literally a character named Flex..."
Well, as we approach the Fall season, look for things to pick up for Star Wars Resistance in the form of sneak peaks and not shorts as was the case for Star Wars Rebels. The good news is, we know they are filming so we won't have to wait long. Stay tuned for details as they come in.